I continue the cleaning of my SP15 but there are some parts that I do not know how to clean? (cf pictures). Any tips ? Other things, i looking for new nyliner and gripper – i know NA Graphic is in standby so have you other solution ? Fritz at NA Graphics is a bit under the weather, but NA Graphics is still in business. If Paul can’t help you, Fritz’s assistant may be able to. As to cleaning your press to look “showroom new” it is not necessary in order to print, unless you are running a museum. The important thing is to keep it well oiled and clean on the surfaces/parts that matter, at least IMHO. The grime on the side of the bearings appears to be cosmetic. I would clean the sides of the bearings with a dry nylon brush, then wipe with a dry rag or one very lightly wetted with WD-40. You will want to prevent any solvent from seeping into the bearings. 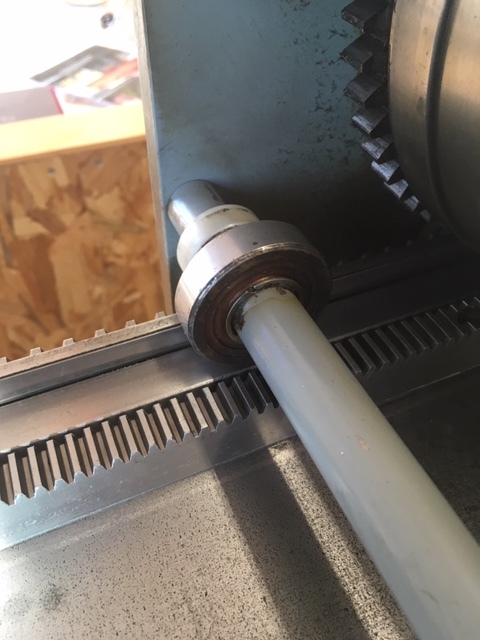 The grime on the cylinder gear is not excessive. 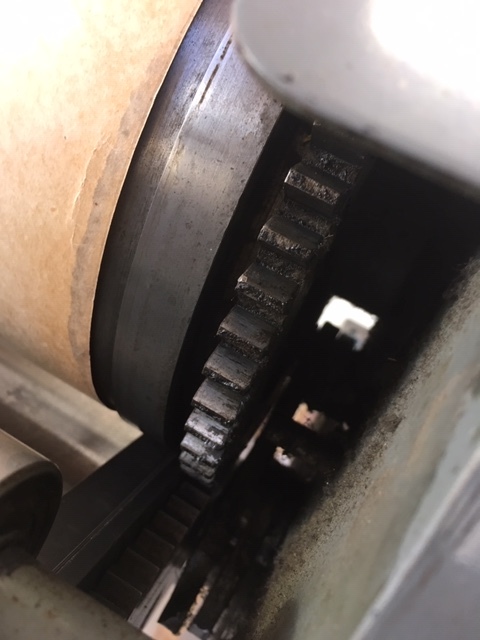 Acmes the the gears from from the rear of the carriage (as shown in your photo) and roll back and forth as needed. I strongly caution against tearing down the cylinder because it requires disturbing the carriage bearings. To clean, use a combination of o toothbrush, cotton swabs, picks, and a petroleum base solvent. Water base greasers will splash and cause rust in areas that will be essentially impossible to reach. I have the Nyliners., but what you mean by gripper: the whole unit (pin, spring and retainer clip? Email me.